Here’s a scenario to provide some context. 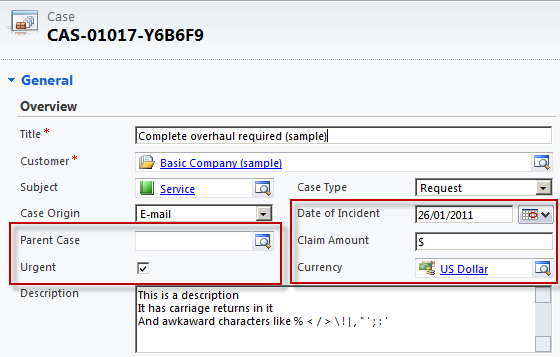 In this post Rhett Clinton provides a jscript solution for defaulting a Customer Lookup to Contact rather than Account. The second line above is there to overcome a problem. 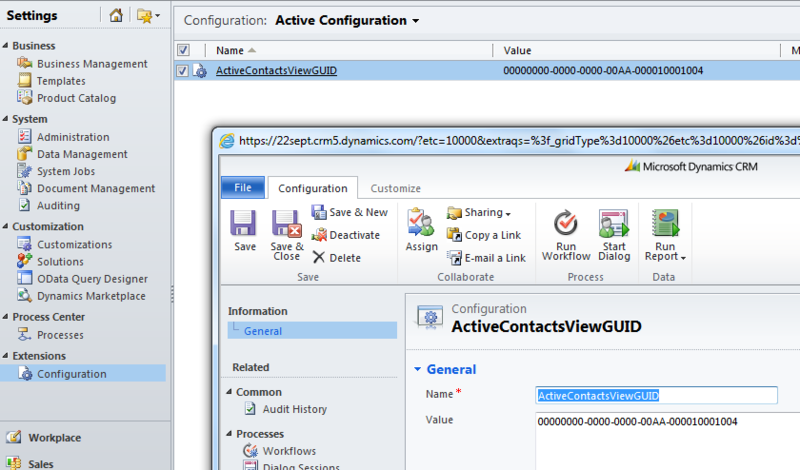 Without that 2nd line what you find is the lookup window switches to Contact but the default view in the lookup defers to whatever the default public view for the entity is – for Contact this is typically “My Active Contacts” – and this isn’t typically what we want. I have implemented a simple data model. A record consists of an identifying name and then the configuration value. The Value field is a multi-line text field which means it can support a simple single text field or numeric value or a more complicated XML value. So, that’s the approach. Now how do you apply this when you need it? Simple. Whenever you have this need, Import this solution file to add the Configuration entity and jquery and json web resources to your system. Create a Configuration record in the new Configuration entity, assign the environment variable a Name and then store the Value. In each environment, this record needs to exist with the same Name, but obviously the Value will be environment specific. 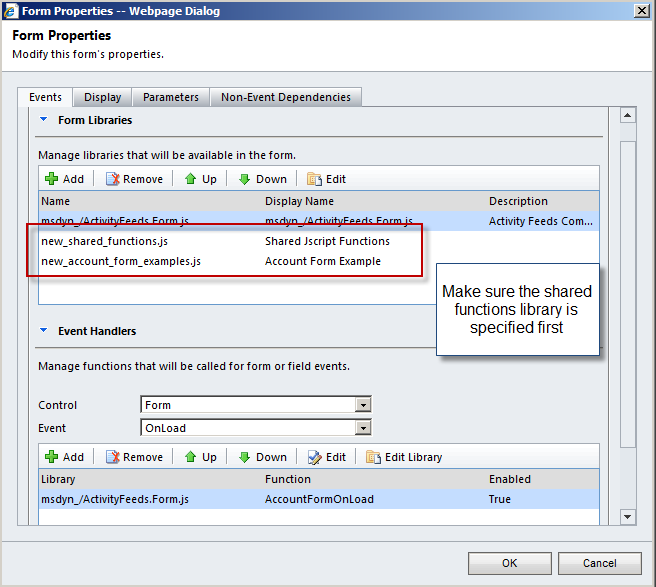 Add References to the jquery and json web resources on your CRM form. Add to your form script the GetConfigValue() function I have provided above. In your script call the GetConfigValue() function passing in the Name of the environment variable you wish to retrieve. Warning: do not have any jscript below this point in this function. Any subsequent jscript needs to go in the function described below. Modify line 39 of the GetConfigValue() function and swap out “ChangeView” with the name of your function which contains the actions that need to execute once the environment parameter has been obtained. This entry was posted in Uncategorized and tagged jscript on August 23, 2011 by Gareth Tucker. 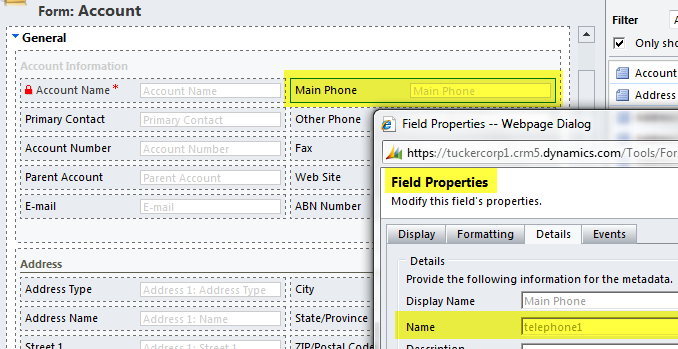 Note: this example sets the requirement level of the Address Type field on the Account form to Required. Note: setRequiredLevel(“none”) would make the field optional again. Note: Here I provide a function you can use. Below the function is a sample. 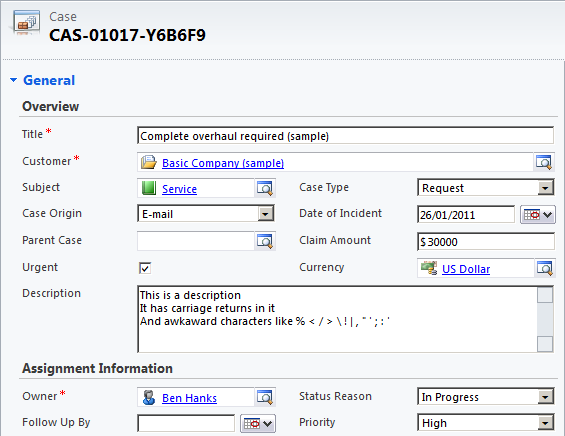 Note: I am setting the customerid field’s lookup window to offer Contacts (entityid 2) by default (rather than Accounts). I have also hardcoded the GUID of the default view I wish displayed in the lookup window. 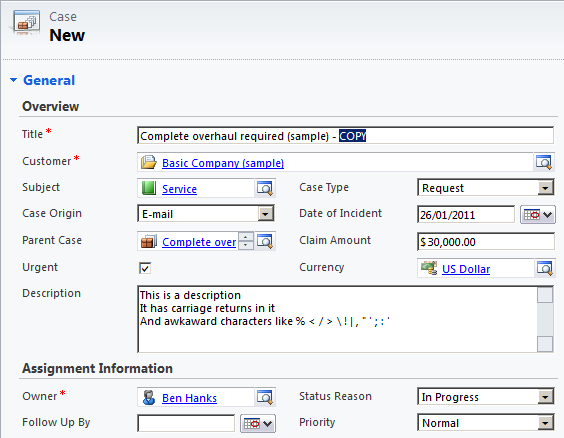 Note: this example pops an existing Case record. The GUID of the record has already been established and is stored in the variable IncidentId. 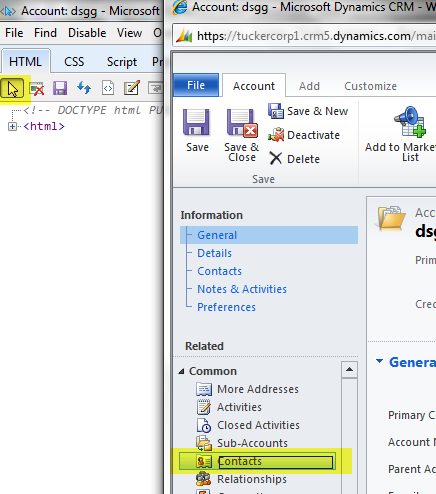 Note: this example has the Dialog GUID and CRM Server URL hardcoded, which you should avoid. 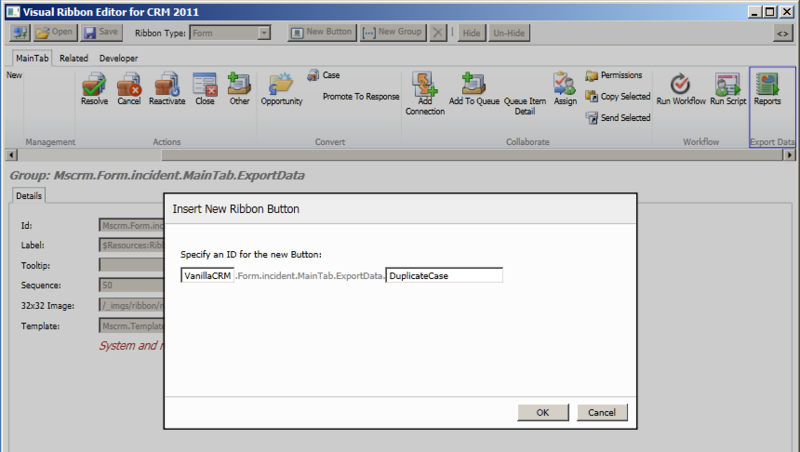 A simple function is included which centres the Dialog when launched. When setting properties to true/false do not surround the true/false value with quotes. Typically there are 2 steps to interacting with fields. First you get the field as an object. Then you interact with that object to get or set the property value you are interested in. And here’s a download containing similar code snippets but provisioned as installable Visual Studio code snippets (something I wasn’t aware of but think is pretty cool! ).